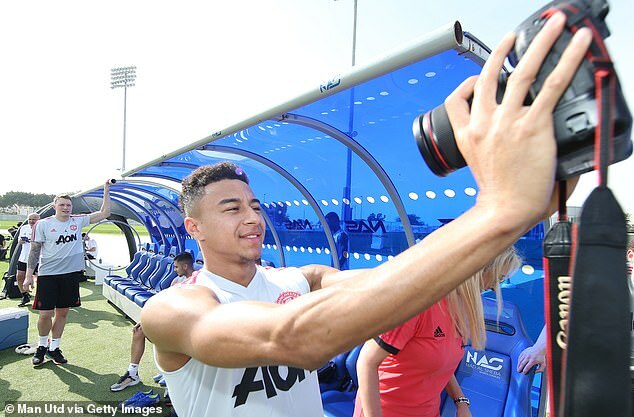 Ole Gunnar Solskjaer has told his Manchester United squad to get angry at each other ahead of matches that will serve as a barometer of how quickly they are improving. 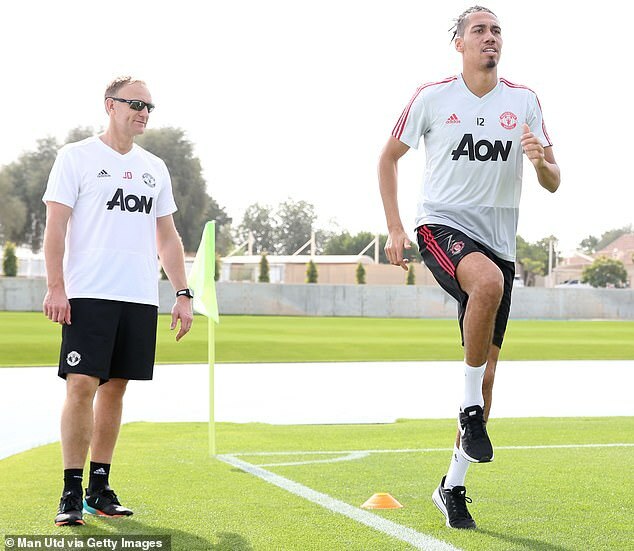 The United interim manager has earmarked this weekend’s trip to Tottenham and the FA Cup date with Arsenal as perfect gauges before the mouth-watering Champions League doubleheader against Paris Saint-Germain. 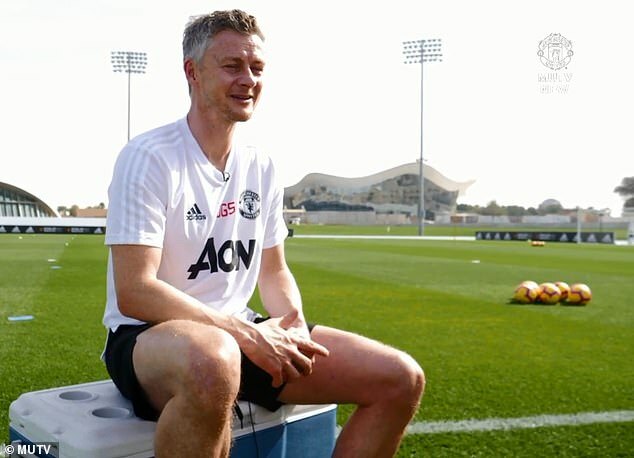 Solskjaer – who has taken his side on a warm-weather break to Dubai, stationed at the five-star One&Only Royal Mirage Arabian Court – encouraged squabbles in training to promote a winning mentality. ‘I’ve already noticed that they are very well knitted together,’ he said. ‘It’s a fantastic atmosphere, which is one of the foundations for any team. ‘You don’t have to be best friends. The team spirit is great. We had one or two fights (as a player) but that is just the demand, the standards that you set. ‘If the session ends with a little bit of a quarrel I don’t mind because it means they are winners, they want to improve. 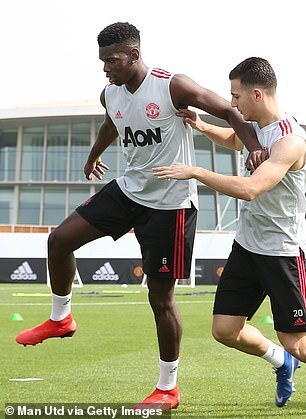 Solskjaer is hopeful Paul Pogba will prove his fitness to play a part in the match at Tottenham and has used this week to spend an extended time consulting video footage with his stars. 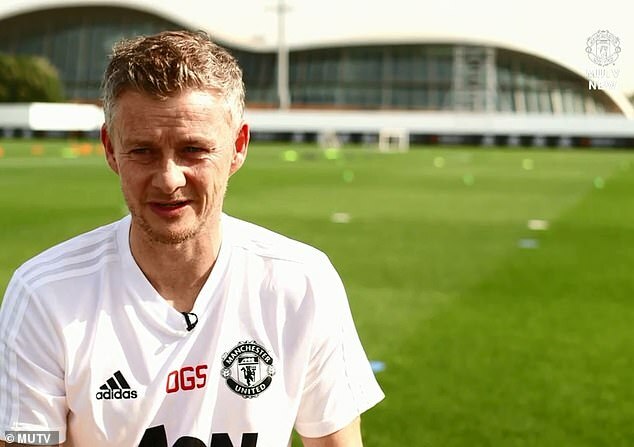 There have been additional team meetings during the break and Solskjaer has been able to concentrate on the minutiae of his five consecutive victories. 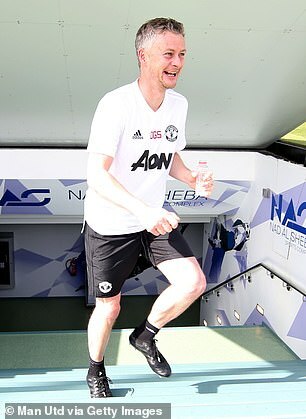 ‘Here they’re not just running away back home to their kids and wives,’ Solskjaer added. ‘We’ve got plenty of time for video analysis and to get some principles in play. Those start on Sunday, with games against Brighton and Arsenal to follow before finishing the month with Burnley at Old Trafford. Solskjaer does, however, already have eyes on Paris Saint-Germain in the last-16 of the Champions League, with the first leg at home on February 12. ‘Tottenham will be tough but then again, we can make it tough for them,’ he said. ‘They’ve got strengths and weaknesses and so do we. ‘We’ll need that and the cup game against Arsenal before we go into PSG. That’s the ultimate test.